Claim: Analysis indicates that North and tropical Atlantic warming affects Antarctic climate | Watts Up With That? The gradual warming of the North and tropical Atlantic Ocean is contributing to climate change in Antarctica, a team of New York University scientists supported by the National Science Foundation has concluded. 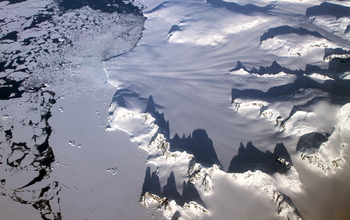 Several glaciers in the Antarctic Peninsula as photographed by a NASA Operation IceBridge aircraft. The gradual warming of the North and tropical Atlantic Ocean is contributing to climate change in Antarctica, a team of New York University (NYU) scientists supported by the National Science Foundation (NSF) has concluded. Their findings appear in the Jan. 23 edition of the journal Nature. Their work draws from more than three decades of atmospheric data and shows new ways in which distant regional conditions are contributing to Antarctic climate change. NSF is responsible for managing the U. S. Antarctic Program in Antarctica and in the Southern Ocean. NSF supported the research in part through a collaborative grant made during the International Polar Year 2007-2009 (IPY), during which researchers from 60 nations deployed to the Arctic and Antarctica as part of a global campaign of fieldwork. NSF was the lead U.S. agency for the IPY. NSF’s Division of Atmospheric and Geospace Sciences also provided funding, as did NASA. Over the last few decades, Antarctica has experienced dramatic climate change, with the Antarctic Peninsula, which reaches northward towards South America, exhibiting the strongest warming of any region on the planet. During its summer, Antarctic changes have been attributed to greenhouse gas increase and stratospheric ozone loss. 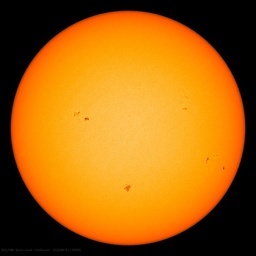 However, less clear are the forces behind climate changes that occur during its winter. In addition, the effects of these changes during the cold season are complex, adding a layer of difficulty to the efforts to find the atmospheric culprit. It has long been known that the region’s climate is affected, in part, by changes in the distant Pacific Ocean climate. But the phenomena brought on by the Pacific have shorter-term influences–for instance, due to El Niño. Less well understood are the longer-term forces that have produced warming along the Antarctic Peninsula or the sea-ice redistribution in the Southern Hemisphere’s winter over many decades. To address this question, the NYU researchers focused on a different candidate: the Atlantic Ocean, which has been overlooked as a factor behind Antarctic climate change. Specifically, the scientists looked at the North and Tropical Atlantic’s Sea Surface Temperature (SST) variability–changes in the ocean’s surface temperature–focusing on the last three decades. This metric, the Atlantic Multidecadal Oscillation, had previously not been considered in seeking explanations for Antarctic climate change. Using a time-series analysis, in which the scientists matched changes in the North and tropical Atlantic’s space-based SST data with subsequent changes in Antarctic climate, the researchers found strong correlations. Specifically, they observed that warming Atlantic waters were followed by changes in sea-level pressure in the Antarctic’s Amundsen Sea. In addition, these warming patterns also preceded redistribution of sea ice between the Antarctic’s Ross and Amundsen-Bellingshausen-Weddell Seas. David Holland, co-author of the study, a professor at NYU’s Courant Institute and past-director of NYU’s Center for Atmospheric Ocean Science, explained that the research consisted of two parts, incorporating both observational data and computer modelling. The first part of the study, using observational data, found a link, or correlation, between the Atlantic and Antarctic data sets. But a correlation means simply that two things appear to happen in conjunction and does not explain what may be causing a phenomenon. The second used a global atmospheric model, which allowed the researchers to create a simulated warming of the North Atlantic. The model responded, as the researchers had suspected, by “changing” the climate in Antarctica. “While our data analysis showed a correlation, it was the use of a state-of-the-art computer model that allowed us to see that North Atlantic warming was causing Antarctic climate change and not vice versa,” he said. The study’s findings raise a number of deeper questions, such as, is Antarctic sea-ice change fundamentally different from the well-reported changes in the Arctic? In contrast to the sea-ice decline in the Arctic, Antarctic sea ice has not diminished. Rather, it has redistributed itself in ways that have perplexed scientists, with declines in some areas and increases in others. The study’s other authors included Edwin Gerber, an assistant professor at the Courant Institute; and Changhyun Yoo, a Courant post-doctoral fellow. January 24, 2014 in AMO, Antarctic, Oceans. How many decades of reasonable sea level pressure data do we have for the Antarctic’s Amundsen Sea? This metric, the Atlantic Multidecadal Oscillation, had previously not been considered in seeking explanations for Antarctic climate change. Why not? Is it because there is no mechanism for the influence? That still doesn’t provide a mechanism. It sounds like it was tuned on a found correlation and then they got the same correlation. Is this any more than reporting a newly found correlation between changes in the AMO and the Antarctic peninsula? Not much chance of bias induced output, then? Humph!!! As I have said before, they have to show a given amount of warming for a given amount of CO2, that they programme into their models dependant upon what sensitivity level they dictate, it won’t do it all by itself!!!! That statement would seem to be very supportive of the MWP being a global, not a regional phenomenon. The report seems very circular in its reasoning. But just this week were told that ozone is the reason the Antarctic is not behaving. Now it is the Atlantic. What is clear is that AGW promoters are far from being able to honestly say they have useful predictive or even descriptive tools to make large global claims. Brilliant article, classic climate science in the format of BS baffles brains. There is one very obvious flaw: there is no warming in the South Atlantic, which means that Trenberth’s hidden heat flows 3,000 miles along the bottom of the South Atlantic Ocean to re-emerge in Antarctica where the ice sheets are growing steadily year by year. Makes perfect sense to me, but maybe after my morning medication I will think different. Just couldn’t bring themselves to say antarctic sea ice has been increasing. And none of these changes happened before we had satellites and SVU’s? It’s this what done it! the Atlantic Ocean, which has been overlooked…. But it is even worse than you think! Not only is Antarctic sea ice not merely “redistributed”, but it has been increasing steadily for 2-1/2 years, through all phases of sea ice: summertime melt, late summer minimum point, winter freezeup, AND early spring maximum’s! Antarctic sea ice is setting all-time record high extents – not “”declines in some area and increases in “some” others” …. Antarctic sea ice has been at or above +2 sigma levels above normal for almost all of 1-1/2 years now! It is not “redistributed’ by any but a CAGW dogmatic religious belief in CO2. At today’s rate year-by-year of continuous increase, Antarctic sea ice will force closure of the Cape Horn sea route in 8-12 years …. Which is “bad” – Cape Horn would be (logically) be closed to easy ship traffic at the time of maximum Antarctic sea ice (late September to very early October each year), BUT the Potentially “open” Arctic sea route is only “open” (potentially open!) for sea traffic only during the early August-late August mid-summer melt. The rest of the year, the small straits immediately north of Canada for blocked by ice. Thus, by September, you could not go north around the continent because the Arctic straits are blocked, but you could (likely) get around the south route – “IF” you could get to Cape Horn before late September. Otherwise, you might be locked out from transit for several weeks until Cape horn thawed out. You could try to go north, BUT you’d have to reach safe passage north of Canada island’s and get entirely through to Alaska’s north shore before mid-September. Be just a few days short, and you’re locked in like the Donner party: Trapped in the Sierra Mountains for the winter because they tried to cross the mountain pass one day too late. I am very sceptical of extrapolating a 2½ year trend by a decade (and I’ve no idea if your sums are right anyway) but it is an interesting idea. It raises lots of questions. What would happen to global sea currents if the passage between Antarctica and Africa were blocked at the surface? I am always suspicious when a nebulous cycle is used to explain something that is hard to understand. Using the AMO defined for the North Atlantic to explain what happens around the South Pole tells me that these guys know nothing about what is going on there. The fact that their model shows something about the Antarctic makes it even worse for me. None of the models IPCC has been using for years work and now they want to extend their non-working models to the Antarctic. And that gets accepted by Nature, supposedly a high reputation journal? They ought to fire their staff assigned to publishing climate articles. at 01:45 comments on How unusual were the Antarctic sea ice conditions that trapped a research ship on Christmas Eve 2013? The NOAA climate piece cites a paper- Parkinson, C. L. and Cavalieri, D. J., 2012: Antarctic sea ice variability and trends, 1979–2010. The Cryosphere, 6, 871-880. Fig. 4. Sea ice extent monthly deviation plots, November 1978 through December 2010, calculated from SMMR, SSMI, and SSMIS satellitedata, for the following regions and hemispheric total: (a) Weddell Sea, (b) Indian Ocean, (c) western Paciﬁc Ocean, (d) Ross Sea, (e)Bellingshausen/Amundsen Seas, and (f) Southern Hemisphere as a whole. Fig. 7. Same as Fig. 4 except for ice areas instead of ice extents. Isn’t this curve-matching with a post-conclusion, technical explanation? The underlying assumption is that globalism dominates, not that a global situation is the culmination of regional changes. Computational reality, i.e. add it all up, divide by three and you see what is affecting everything, vs Representational reality, i.e. look at Antarctic cooling and Atlantic warming as regional changes as a result of underlying (or overlying) processes. The analysis starts with the assumption of a global dominance, something striking everywhere but having different local results. That is an assumption of CAGW. It is not a conclusion as the warmists would like it to be from such a study, but an assumption. Another case of circular reasoning. Call me a pedant, but it seems unfair to have a research grant for an International Polar year that lasts from 2007-2009. Did they get twice as much, or were they forced to take only half as much per year during these hard times when energy costs are rising in so many places due to government or EPA fiat? They just can’t bring themselves to say Antarctic (and global) ice extent is increasing, can they? Redistribution is the new increase. Suggestion: get Chris Turney to head an expedition to check on things down there. Be sure to bring a lot of deck chairs, short-sleeve shirts, parasols, and booze. Oh yeah, bring lotsa family members too. This is obsurd. They left out “Man made (coded)” state of the art models. These people act like the models are sentient beings. They only do what we code them to do. One wonders how those state of the art models did in hindcasting things. I bet you cant find that info anywhere without an FOIA request. PFFFT! Is the “climate change in Antarctica” dangerous and if so why? The Antarctic sea ice has, no, not increased, but “redistributed” itself. And there’s a correlation between what happens in the Atlantic, apart from the sign, which is not mentioned, because it’s negative. Xbox 1 or Playstation 3? I am just going to leave a link to Bob Tisdale’s analysis from five years ago. Recent Antarctic Warming Attribution Complicated By ENSO Events? As the West Wind Drift flows past Cape Horn, that part in the immediate vicinity of the cape is called the Cape Horn Current. This current rounds the cape and flows in a northerly and northeasterly direction along the coast of South America as the Falkland or Malvinas Current…. They may have cause and effect backwards. Oh, you are absolutely right – It is more of a amusing (or mirror-image) question than a “important” but it does show off the CAGW’s religious obsession with Arctic sea ice reduction in the past few years. Alas, it IS more important in that Arctic sea ice cannot reflect solar energy (it is so far north at sea ice minimums that further ice loss only increases heat loss from the planet), but Antarctic sea ice record-setting highs ARE at latitudes where solar lost due to albedo changes ARE significant. The math is relatively simple. Double check it you wish. Cape Horn ends at 56 south. Any Antarctic sea ice extents large enough to extend from the pole to latitude 56 would obviously impair shipping, if not stopping it until the ice remelted, right? The earth is a sphere of radius 6371 km, so spherical geometry tells us that the area between latitude 56 and the pole is 43.6 Mkm^2. Antarctica is 14.0 Mkm^2; it is surrounded by permanent ice shelves of total area 3.5 Mkm^2, the Antarctic sea ice surrounds both as a nearly circular area center neatly on the pole. Current Antarctic sea extents maximum is right at 19.5 Mkm^2, so the total at maximum in late September-October is 14.0 + 3.5 + 19.5 = 33 Mkm^2 of net ice. This back-calculates to a latitude of 60.5 south, which, if you look at the recent plots of southern sea ice maximum extents, matches reality pretty well. So, we need (43.5 – 33.0) Mkm^2 of extra sea ice or 10.5 above today’s maximum. Antarctic sea ice has been expanding right under 1.0 Mkm^2 per year through all seasons of the year -even the melt season at minimum sea ice extent for 3 years now, so we’ll be set to freeze Cape Horn in about 10 years. But the southern current around Antarctica puzzles those who watch it: It is wind-driven, and may be influenced greatly by the ice-coverage 2 months of the year near sea-ice maximums. So, it is is slowed because of wind “insulation” then the waters it moves will slow down, and may lose their heat even more. Blunt truth? We don’t know. Physically or geologically, there is nothing preventing the Cape from freezing over. FUBAR means “fucked up beyond all recognition”, an expression commonly used by Australian mining geologists to describe unidentifiable rock! I can’t believe this study is being published in Nature. Or maybe I can. How about part of the Antarctic circumpolar current runs up the coast of Africa, hits the bulge near the equator, heads for South America and returns to the south as a warm current wher it fizzles out near the tip of Africa. Do not forget the Antarctic circumpolar current is the the fastest and deepest ocean current in the world and isolates Antarctica from the influence of the other oceans. This is just another bit of the tail wagging the dog as usual in Climastrology. RACookPE1978, thanks. I actually meant I didn’t have time to check your sums and thought the questions you raised were more interesting than the probability of them happening. We can’t put meaningful figures on the probability of the Southern polar ice cap reaching Africa (or S America). But it occurred to me that this would be a believable tipping point for the climate. No idea where it would tip to but I could see it being rapid. And rapid change is hard to adapt to. Slow change (of almost any extent) is not a problem but rapid change could wreck the world’s harvests and reserves. lt sounds to me that these changes are linked to the movement of area’s of high pressure over the Atlantic. Because l know how much the Azores high can effect the UK even indirectly. Oh, sorry. I seem to have lost my “objective scientist’s” hat today. My eco-warrior/political activist hat was by the door as I left for work. May we ask which way Antarctic ice is changing once we add up all declines in some areas and increases in others? It would be (cough) increasing would it? Just wondering, since you did not say. Is he aware of the other possible explanation or correlation: A and B caused by C ? “State-of-the-art clmate model” . And what state is that “art” currently in? Not impressive. Using climate models as a means of determining anything when they clear don’t work is a joke. This may be a dumb question, but how does a computer model prove or verify anything? Isn’t proof something that must be observed and objectively measured? It’s been a while since I was in a science class, but I’m pretty sure my 12th grade physics teacher would fail my lab if I told him my computer model proves my theory. They are still trying to melt that pesky Antarctica. Maybe they are right about the North Atlantic influencing it. I note on the Sea Ice Page, NOAA/Esrl (I can’t get the link by clicking on the graphic); surface temps that we can walk on ice andd frozen ground from Hokaido to Texas. If you want a longer trek, how about Pakistan to Texas. Fubarite. I heard this mapping geology in northern Manitoba, Canada in the 1950s. Yeah trouble with grants that were awarded in the 2007-2009 Geophysical Year is the whole ball game has changed since then with Arctic recovering and Antarctic still in a multi-decade stubborn sea ice increase. I remember a colleague who took 7 or 8 years to do his PhD, his theory was falsified before he finished. At least in those days, no paper on the “findings” was published. The AMO warms due to a slow down of the MOC/THC. Over time that leads to increased melting of the Arctic sea ice. This cold water submerges thus increasing the speed of the MOC/THC. This increases the upwelling of Antarctic cold water at the other end of the deep ocean current. The Antarctic sea ice then increases because of the colder water. The speed up of the MOC also ends up cooling the North Atlantic waters because the warm water spends less time at the surface. This leads to a drop in the AMO and, eventually, a return of the Arctic sea ice. The colder Arctic then slows the melting and we return to the beginning of the cycle. “Our findings reveal a previously unknown and surprising force behind climate change that is occurring deep in our southern hemisphere …. chain of active volv\canoes under the ice, could it? If Arctic and Antarctic ice keeps increasing as it currently is then that new canal being dug through the waistline of the Americas is going to prove very useful. Excuse me while I go out and buy some shares in the company…. Watching climate scientists learn is like watching your children learn their ABC’S! These elementary epiphany studies are becoming more and more silly as time goes by. Trouble is, I am paying for these numbnuts to learn their $%#@% climate ABC’s! In any case, I don’t see how a computer model that demonstrates how a particular mechanism can cause an apparent correlation supports a conclusion that such a mechanism causes the apparent correlation. 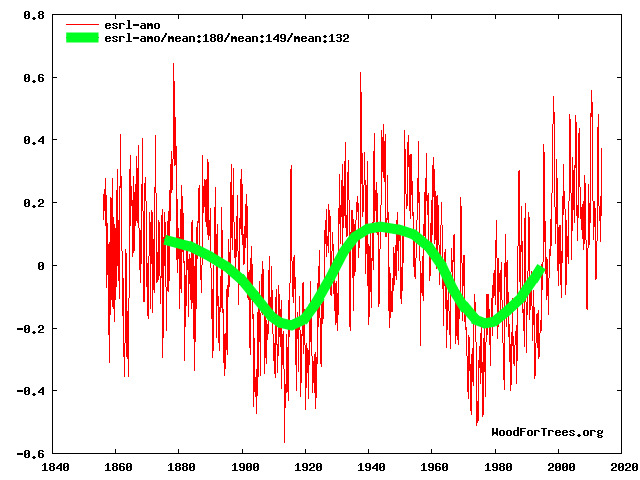 Wouldn’t a high amplitude in “Rossby Waves” cause the current so-called polar vortex and southern Artic ice melt? And wouldn’t a low amplitude of “Rossby Waves” cause cold, accumulating Antartic conditions? A merging of the subtropical jet and polar jet affecting the “Rossby Waves” respectively. What have the jets looked like lately? Thanks.